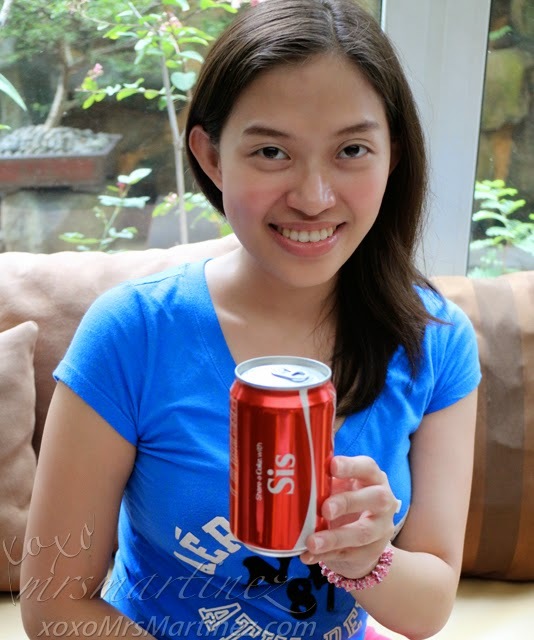 I have been reading about the ongoing Share A Coke campaign of Coca-Cola Philippines. It's all about YOUR name appearing on cans and bottles of the soft drink brand. I was in search for my name and that of my family members but I was out of luck. I have searched several supermarkets and groceries for several weeks now but to no avail. I was only able to find generic terms like Mommy, Sis and Bro at Mercury Drug in Robinsons Magnolia. Naturally, I bought all three cans. 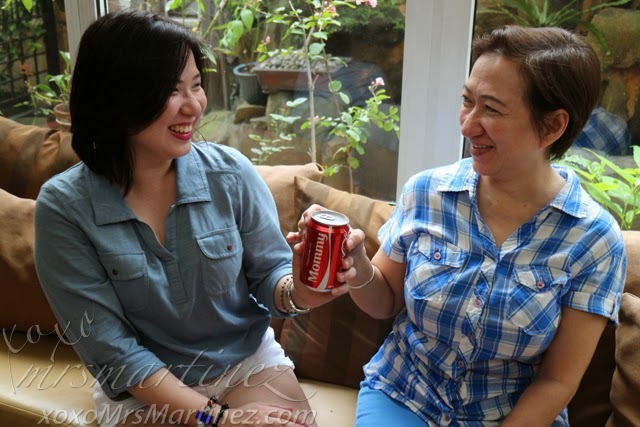 Mom loves Coke as much as she loves coffee. She would always have one with meal. 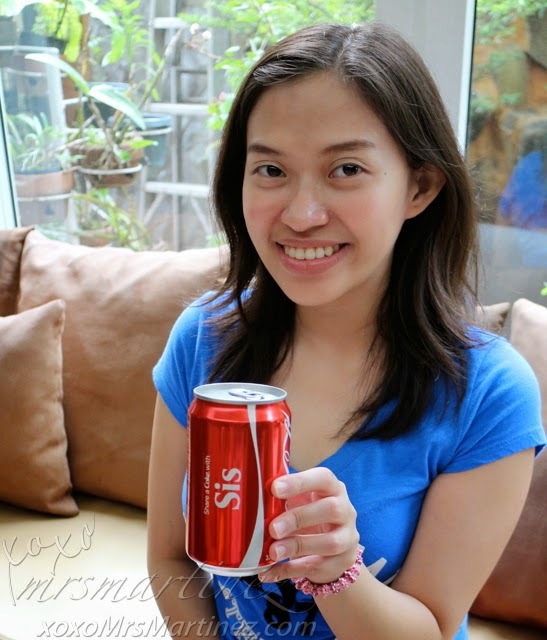 This Coke can is really dedicated for her. I am happy that I was able to find one. If only I can find that elusive bottle bearing her name, it would be a great treat for her. Let me know if you found BETH in supermarket near you. I love my mom and to see her laugh like that is priceless. Photos above were taken by my sister. 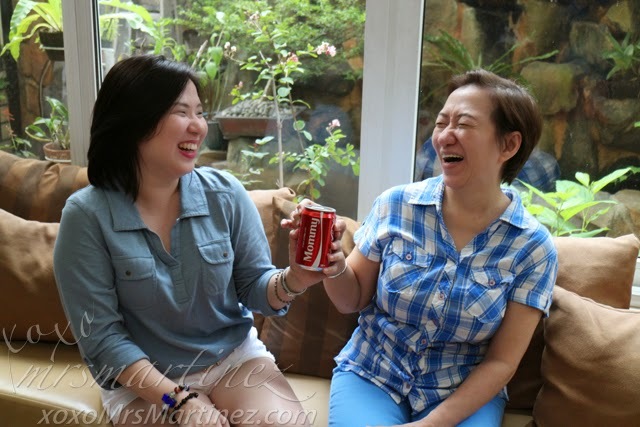 I shared a Coke can with her and she is sharing it with me too... how touching! 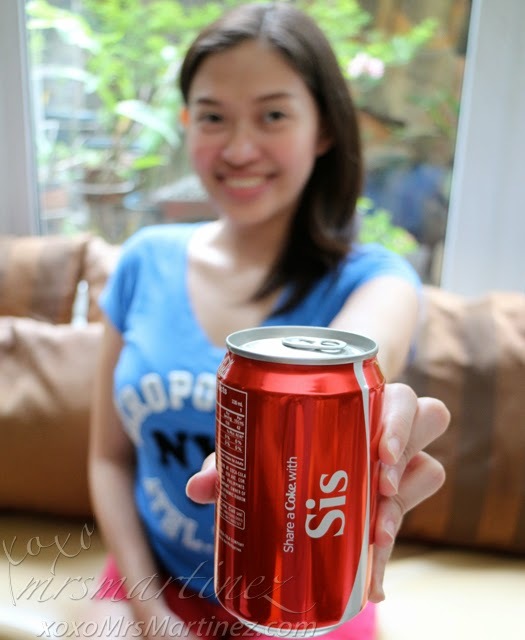 She is the person behind most of my OOTDs, thank goodness I found a Coke can with Sis written on it. This is my way of saying Thank You for taking all that shots and making me look fabulous every time. 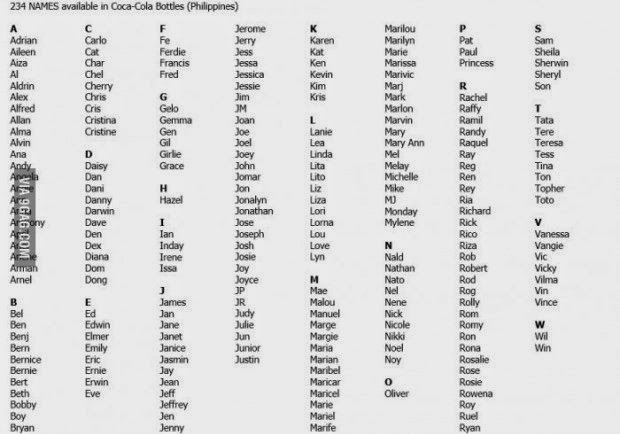 Here are the 234 names available in Coca-Cola bottle Philippines. I found my name, DH's and my mom's name. I have already sent them Virtual Coke bottles bearing their names via Share A Coke Facebook app. If your name does not appear on the list, there's a 2014 Share A Coke Promo happening until October 31, 2014. 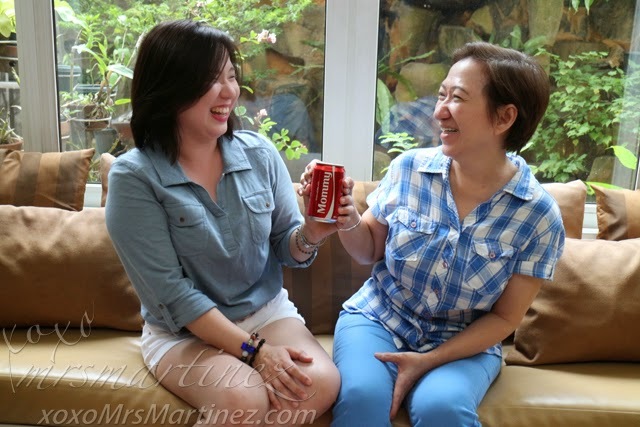 You can get a personalized Coke 500ml bottle in selected supermarkets and malls nationwide.